The Reviewer Plugin takes care of its customers, and their satisfaction is one of the primary goals. Before contacting the Support Team, please check out the Reviewer Knowledge Base and the FAQ section. Send a message via the plugin support page at Envato Market. Send a message via the contact form you get by clicking on the link you find in the bottom left corner of each Knowledge Base article. Each support request is handled within two business days, but usually, it takes just a couple of hours. If you do not receive a reply, please resubmit your inquiry. If you are evaluating the Reviewer plugin and you have questions you can send a message, we will be happy to help you to find answers you are looking for. Purchase code related to Reviewer Plugin. Make sure your Support Period is not expired. You can check it out on the plugin's page or download page at CodeCanyon. If you support period is expired, you have to renew it before sending your support request. You can follow this article for instructions about how to renew the support period. The Support Team speaks English and Italian languages only. If you do not talk one of these languages, please use Google Translate to compose your message. 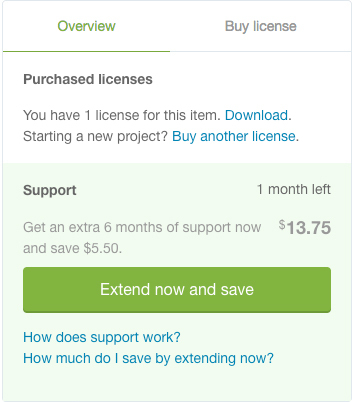 Learn more about item support at official Envato Market page. If you have purchased a WordPress theme that includes the Reviewer plugin, you have to send all the support requests to the theme author. Unfortuanlty you have not purchased the plugin directly, so you have not a support period for Reviewer plugin, but you should have support for the WordPress theme. Please do not post comments on plugin page for any request; the Support Team does not manage the comments section. Thank you!